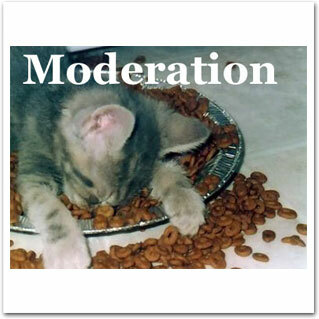 We have heard a million times, moderation is key. Baloney! If we could moderate, 66% of the nation wouldn’t be fat. The food industry has designed the foods we eat to make it impossible to moderate. Processed foods react with opiate receptors in the brain, mimicking the effects of opiate drugs like heroin and morphine. You can’t moderate sugar and flour any more than you can moderate a heroin addiction. Not to mention moderation ignores the serious damage those foods do to your body. High blood pressure, obesity, high blood sugar, damaged the lining of the gut, build up of toxins in your body – this happens with just a little bit a day. Listen, if you are fat then clearly you can’t moderate anyway. If you are ready to get this under control, lose the weight for summer and be free and at peace with your eating – fill out the quiz at www.SkinnyCoach.com and set an appointment. Posted in Habits, Nutrition, Psychology and tagged high blood pressure, moderation, obesity on January 6, 2018 by tiffany.